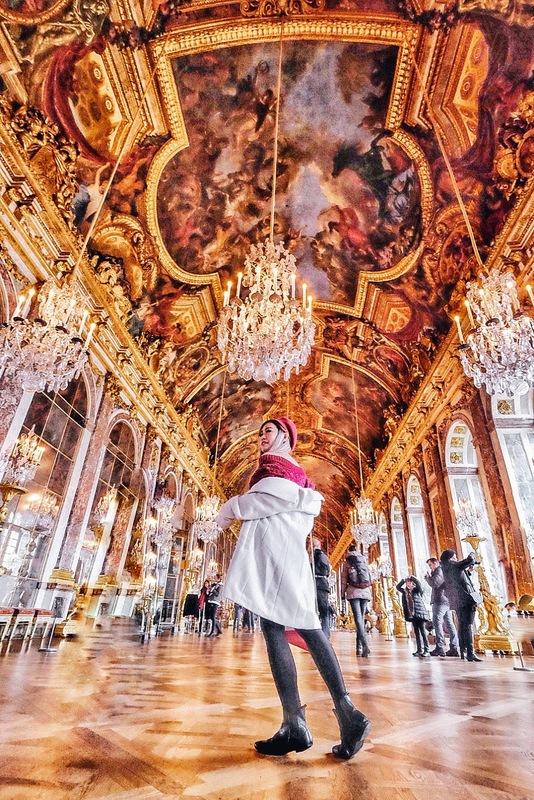 Because it is one of the most famous landmarks in the world, and people might not believe you've visited Paris unless you've taken picture in front of it. As they said, no picture, hoax? But it's not like it's that difficult to take picture with Eiffel because you can easily spot her all over the city. However best view must be from Trocadero. Simply get to Trocadero station and walk a little bit to find the stairs where millions took their instagram shot there. As for me, I decided to walk down a little bit to find the bridge and the river. I had to visit this place 2 times in a row because it's just that difficult to get the weather right. 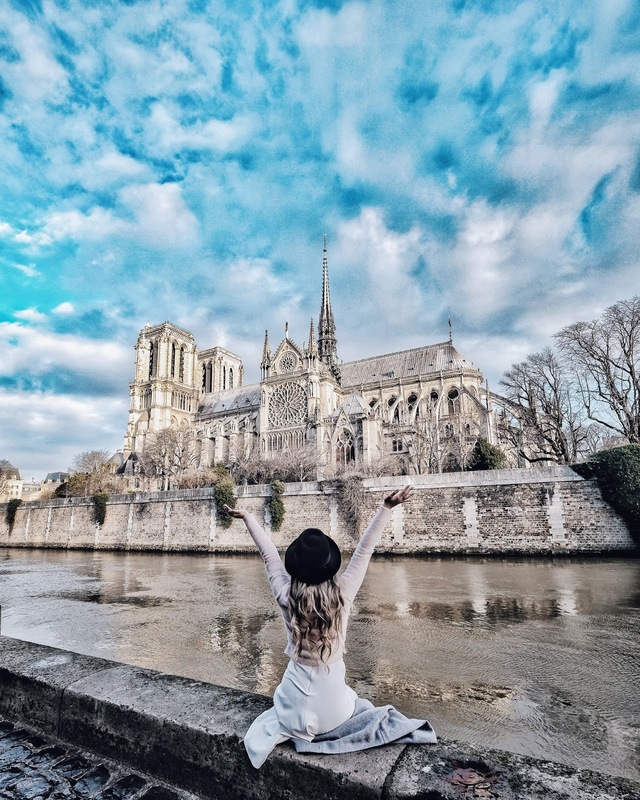 A friend of mine mentioned he stayed in Paris 5 days and only 1-2 days were good. So tricky yet worth all the effort! One of the most famous places to enjoy hot chocolate and high tea is no other than Angelina. I visited the Champs Elysee branch and the interior is really grand. I got the hot chocolate set along with their limited edition Christmas Chocolate Cake. For me the taste is really rich (I am never a big fan of chocolate) but I am sure my best friend Jessica who loves chocolate more than herself, will not leave a single drop of it. I also purchased their famous Maroon / Chestnut Cream and for me I like it better! Unfortunately I didn't manage to get their popular Maroon Cake there as I was too full. Well, a good reason to be back? Oh the famous 'triangle glass' that everyone post on Instagram but it's much more than that. It's in fact only a gate that transports you down to the best museum I have ever visited yet. 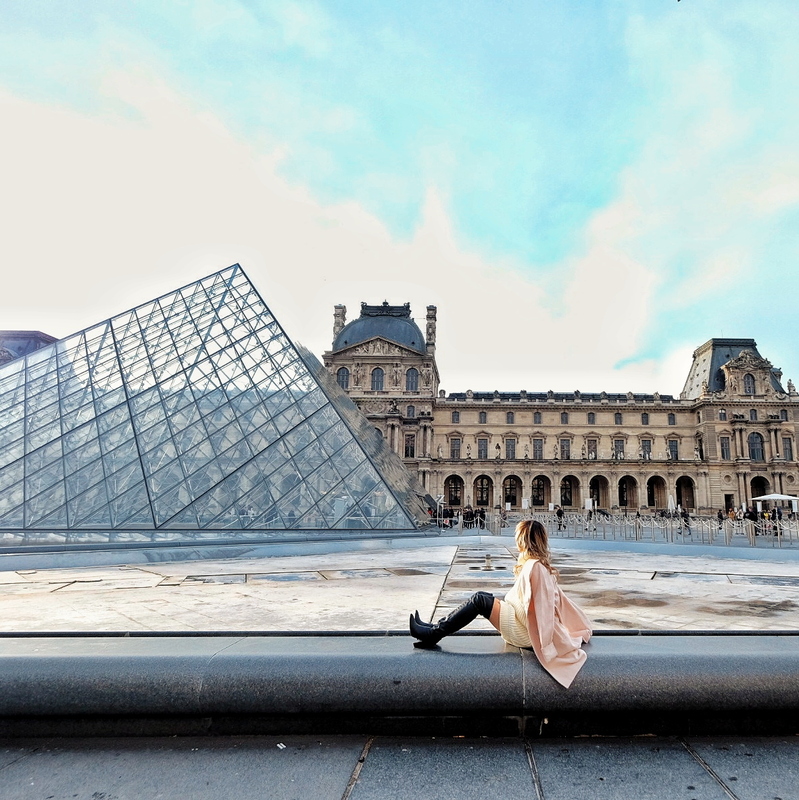 Louvre is so big and it holds so many beautiful and important artifacts from a lot of periods! One day is simply not enough to enjoy all of that. The interior of the museum is also so breath taking that little details do matter. I only spent a few hours and I want to come back to Paris just to enjoy the museum again, because that's how amazing Louvre is. For young travelers below 26, you are entitled for free entrance every Friday night after 6pm. Keep it noted! 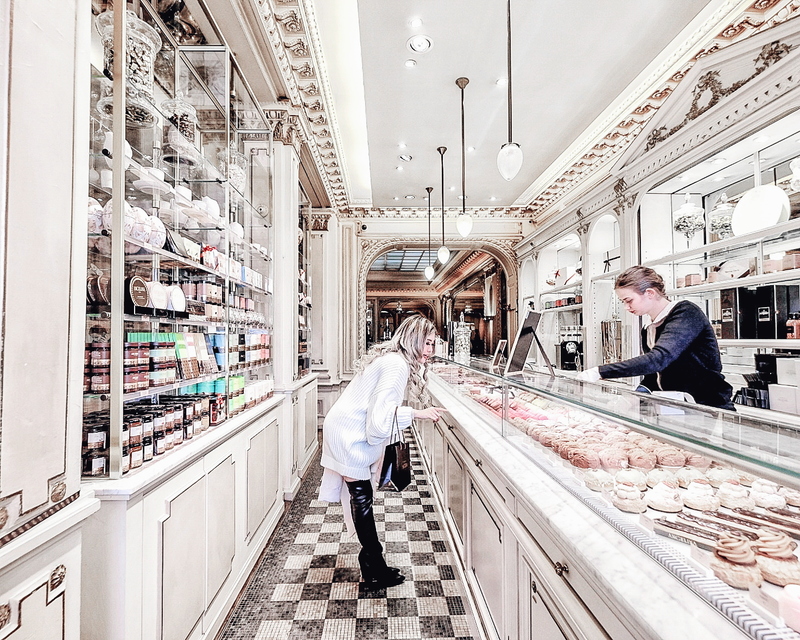 What's Paris without French foods? For me the price is really expensive compared to other countries, and Parisian really know how to enjoy their meals. Most of the meals come with courses and the waiting time is pretty slow unlike Asian foods. 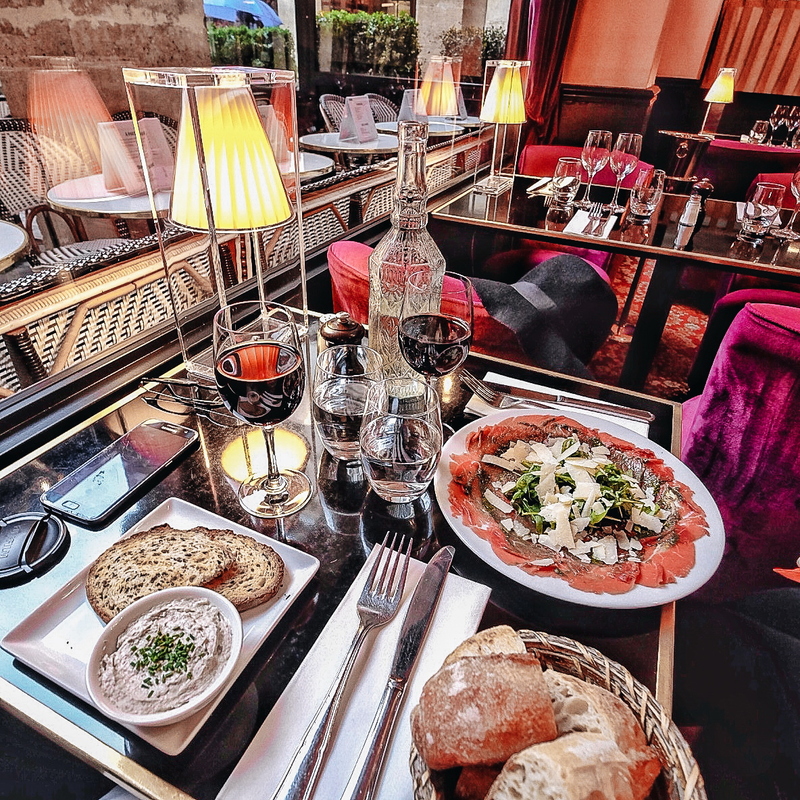 The tricky part is, I don't think every restaurants in Paris offer tasty foods therefore I truly recommend you use Tripadvisor or google a lot of blogs to find the restaurant. When I first came here I thought simply entering any restaurants that I passed by would do good but yuck! On second day we decided to walk and find the restaurant and it's not disappointing! 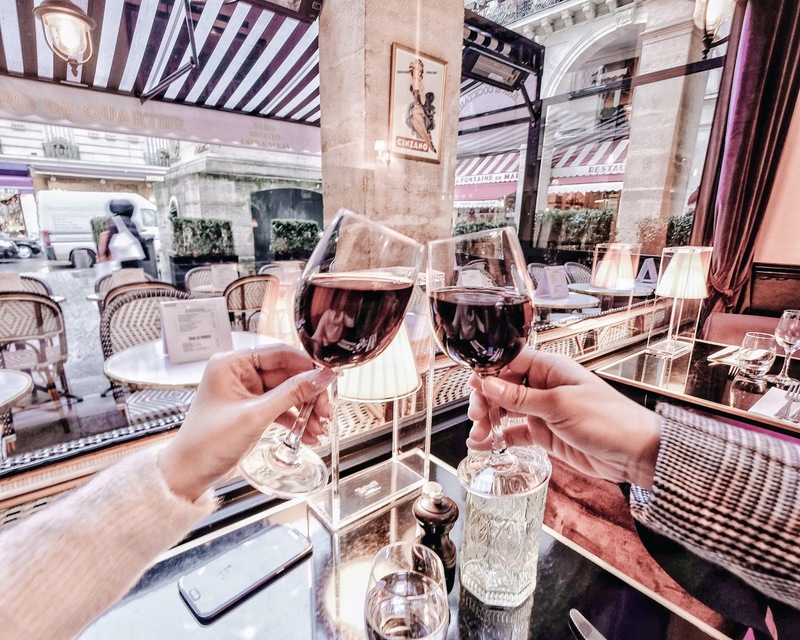 Fill yourself with some foie gras, tartar steak, croissant, wine, and escargots before heading back home! 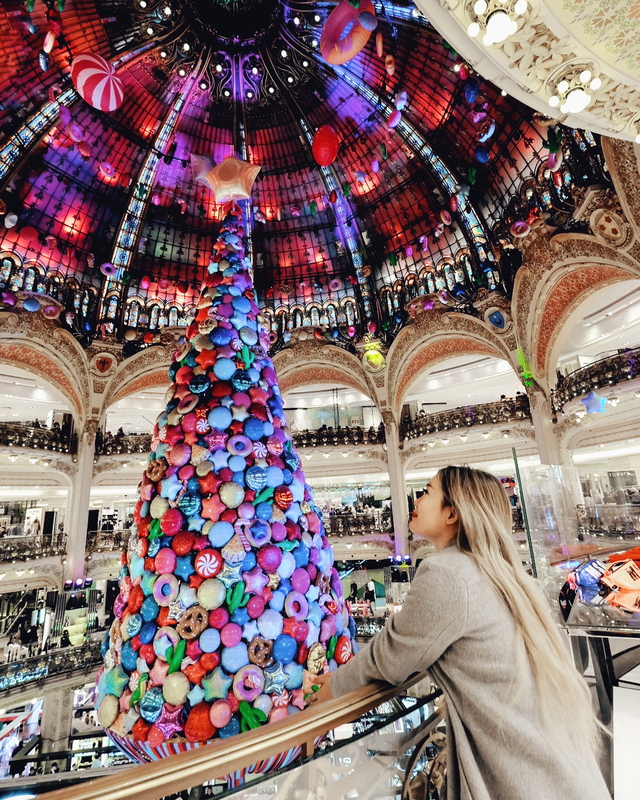 I was there during Christmas season and Galeries Lafayette has one of the best indoor Christmas Trees I have ever seen as of now. Not only it's so creative and fun, at certain times they played some live attractions where the balloons were jumping up and down in the air with some musics. The decorations outside Galeries Lafayette in 2017 Christmas was also pretty cool, with moving Nutcrackers combined with colorful decorations. Meanwhile, you can also enjoy your shopping in this place! 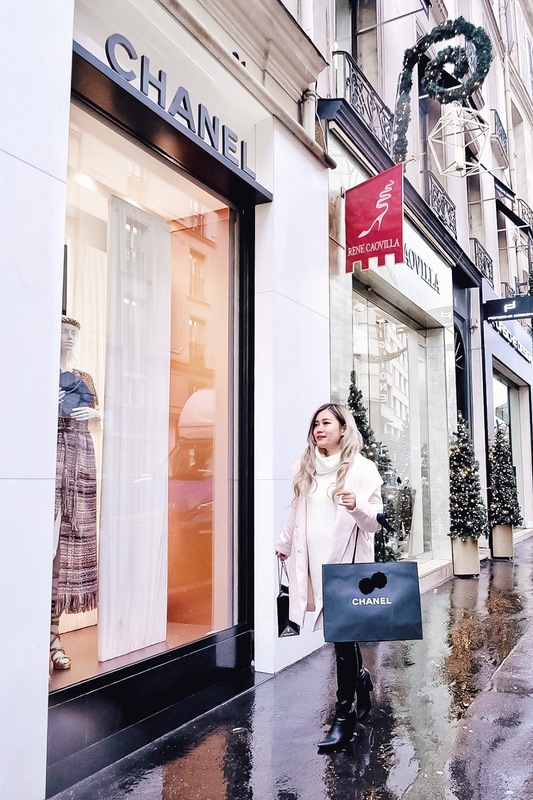 And that's all guys for things you should do in Paris for first timer! For now I hope you enjoy this article and talk to you again on my next post!